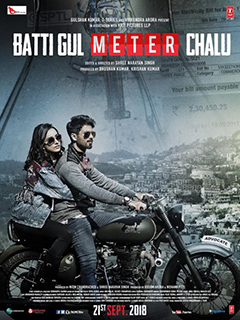 Batti Gul Meter Chalu Lyrics : Batti Gul Meter Chalu is a 2018 Hindi language drama film directed by Shree Narayan Singh and produced by Bhushan Kumar, Krishan Kumar. The film stars Shahid Kapoor, Shraddha Kapoor, Divyendu Sharma and Yami Gautam in lead roles. Batti Gul Meter Chalu Songs are composed by Anu Malik, Rochak Kohli, Sachet-Parampara and lyrics are written by Manoj Muntashir, Siddharth-Garima.